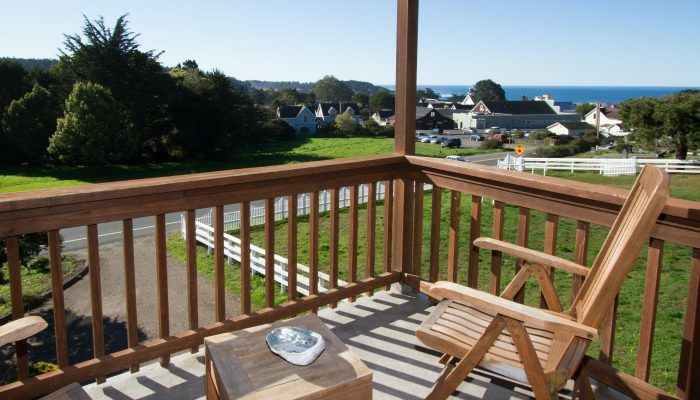 Mendocino View West is a second story ocean/town view luxury suite, located in the village of Mendocino. 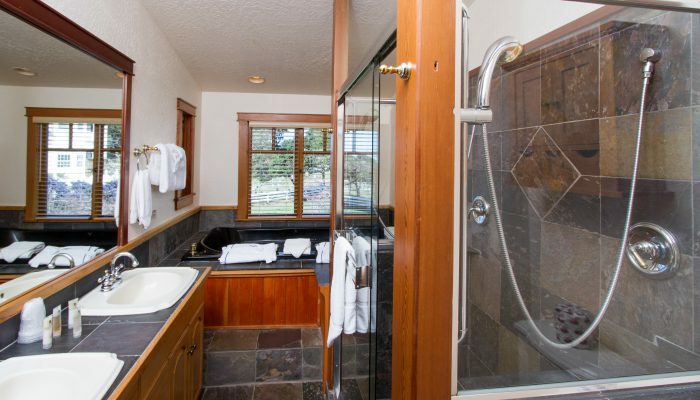 Within easy walking distance of our beaches, headlands, and of our many fine shops and world-class restaurants, this suite features a spacious master bedroom with a luxurious king-sized bed, a gas fireplace in the living room, radiant heated floors, a two-person Jacuzzi tub, as well as a dual shower and dual sinks. 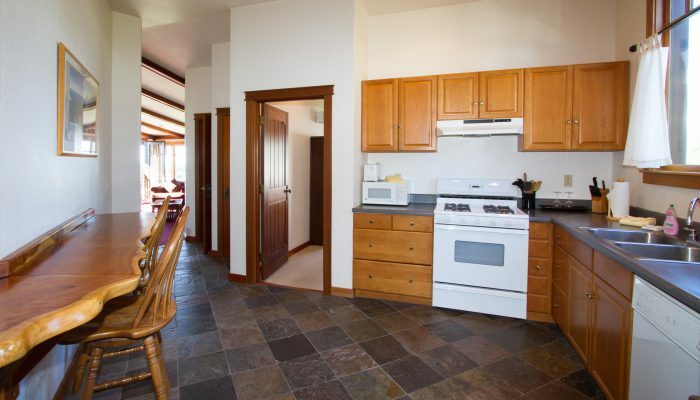 Other amenities include a fully equipped kitchen, a private ocean-facing balcony, a full entertainment center, DirectTV, free wireless, free long distance calling, and covered parking. 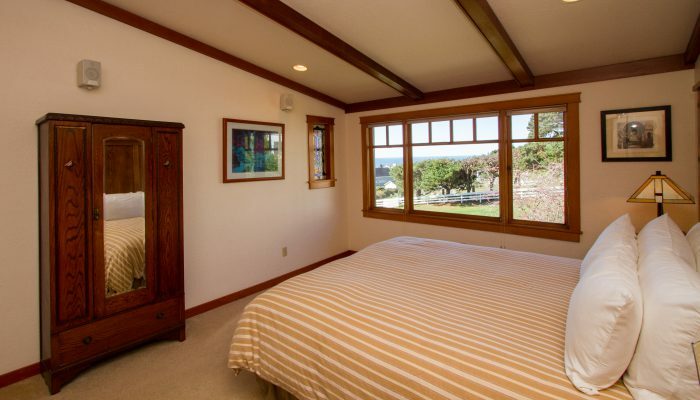 It even includes a comfy Queen sleeper sofa to accommodate a couple of children or even a guest or two. 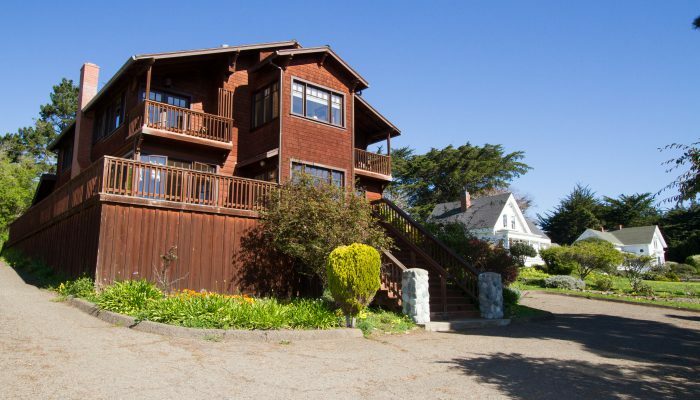 Mendocino View West has become a favorite getaway for many of our guests, and we’re sure that you’ll find it a relaxing place to spend your vacation. A one-time cleaning fee applies.